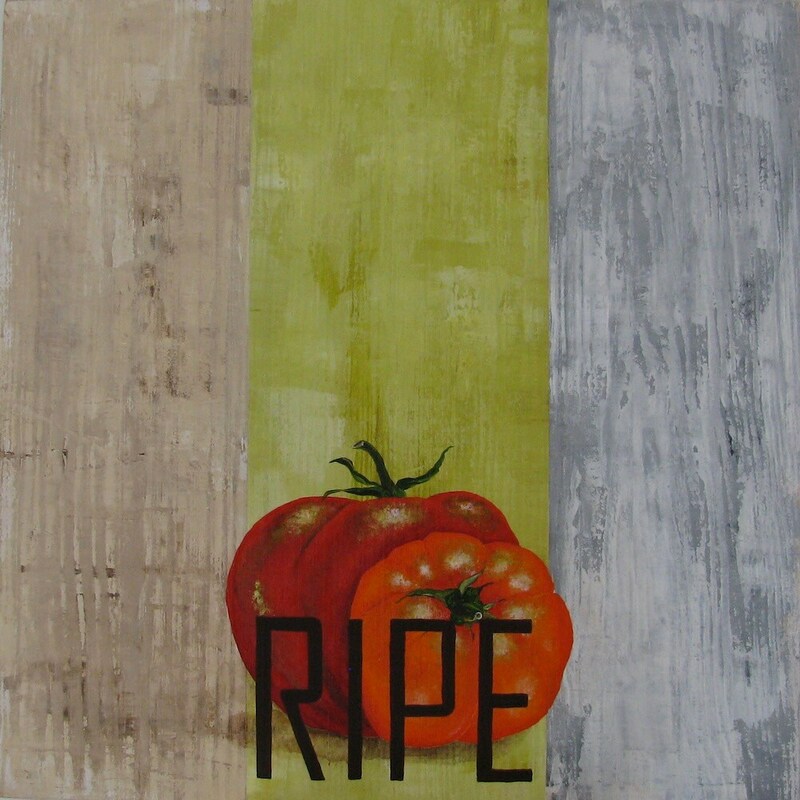 Part of the Garden Variety series, Ripe is a perfect addition to your home or professional kitchen. Acrylic paint applied to re-purposed old school gym bleachers brings out the warm texture and vibrancy of this natural occurrence. The original artwork is 16” x 16” x3/4"